15-year gilt yields are lower by 36 basis points as investors seek safe havens following fears of a global economic slowdown which could increase pressure on annuity rates. 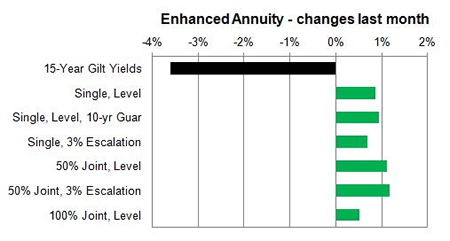 The majority of annuity rates increased last month despite the significant fall in 15-year gilt yields decreasing by 36 basis points. In part this was due to providers reducing annuity rates the previous month due to Solvency 2 giving them more margin to make small improvements. 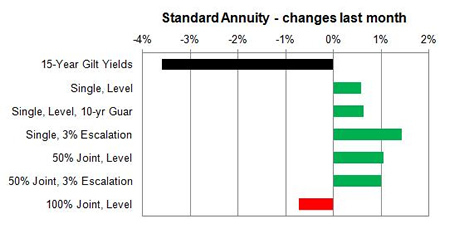 Standard providers increased rates by 0.69% and we would expect to see annuities fall by a further 1.05% in the long term. 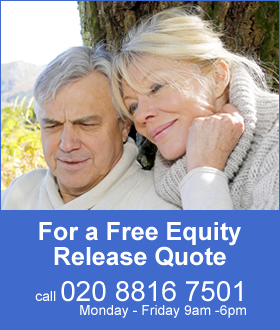 Smoker and enhanced annuity providers increased their rates by 0.87% on average and in the long term rates may rise by 0.22%. For enhanced and smoker providers rates increased by up to 2.0% although the majority improved by about 1.0%.